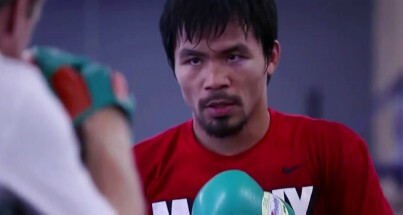 By John F. McKenna (McJack): Ever since the November 12 fight between World Boxing Council (WBC) welterweight champion Manny Pacquiao (54-3-2, 38 KO’s) and WBO/WBA lightweight champion Juan Manuel Marquez (54-6-1, 39 KO’s) boxing fans have been asking the question what’s next for Manny Pacquiao? The boxing world has long been demanding a fight between the two top superstars in boxing Manny Pacquiao and undefeated WBC welterweight champion Floyd Mayweather Jr. (42-0, 26 KO’s). It is indeed rare that two fighters of the magnitude of Pacquiao and Mayweather both fight at the same time in boxing history. One would have to go back to the era of Muhammad Ali and Joe Frazier to find such an occurrence. The historic trilogy between Ali and Frazier is still being talked and argued about by boxing fans nearly 40 years later. What made those fights so compelling is that Ali and Frazier had no qualms about putting their fistic reputations on the line. In fact both fighters were eager to prove to the boxing world who the best heavyweight in the world was. Unfortunately for boxing fans those days are long gone. Numerous attempts have been made by boxing promoters to strike a deal and get Pacquiao and Mayweather into the ring. Try as they might though the powers that be in boxing have been unable thus far to arrange what has been referred to as the “Dream Match” between Pacquiao and Mayweahter. Both camps are equally adamant in blaming the other side for the break down in negotiations and their loyal fans are just as adamant in supporting their hero. After Pacquiao’s less than stellar performance against Marquez, the Mayweahter camp has made comments indicating that their fighter is eager to move forward in an attempt to nail down the long anticipated fight with “Pacman”. In fact prior to Pacquiao’s bout with Marquez, Mayweahter’s people secured a date of May 5, 2012 at the MGM Grand in Las Vegas for a bout against a fighter only identified as the “Little Fellow”. Since Top Rank CEO Bob Arum had never been notified of either the date or the venue the Mayweather camp was not taken seriously. After Manny’s highly controversial win over “El Dinamita” Arum expressed the opinion that another Pacquiao – Marquez fight was in order. Not everyone agrees with Uncle Bob. After three fights it is pretty much a given that another Pacquiao – Marquez fight would again be close and controversial no matter who wins. To Roach it is all very simple. A bout with Marquez would bring in around $30 million, while a fight with “Money” Mayweather would bring in over three times that amount. And after a Mayweahter fight, a bout with Marquez would still be there. Roach’s reasoning is that if for whatever reason a Pacquiao – Mayweather fight never happens a $100 million fight will have gone down the drain.